Tributes have been paid to the former Arts Minister Séamus Brennan, who died in the early hours of Wednesday at his home in Churchtown in Dublin. He was 60, and had been unwell for some time. Séamus Brennan was appointed Minister for Arts, Sport and Tourism on 14 June 2007 but after the resignation of Bertie Ahern he stepped down from the Cabinet. He had been on the Fianna Fáil front bench, whether in Government or in Opposition, continuously since 1987. 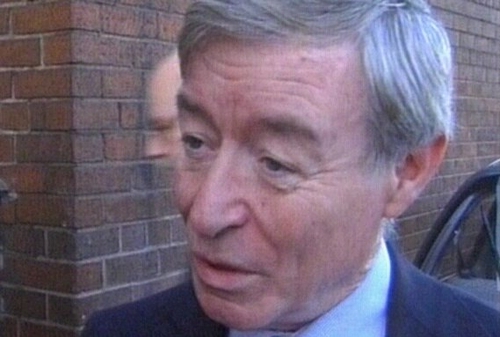 A former General Secretary of Fianna Fáil (1973-1980), he was first elected to the Dáil in 1981. Born in Galway, he made his home in Dublin from the early 1970s, and represented Dublin South from the time the constituency was created. Paying tribute to Séamus Brennan, the Chair of the Arts Council, Olive Braiden, said: "He was our Minister for the Arts for just a short period, but in that time, as in all the other ministerial positions he held over the years, he took to the task with great energy. "Because of those previous roles, especially that of Minister for Tourism and Minister for Education, he brought a wealth of experience to the job. “He started from day one by meeting us, and assuring us that he was totally committed to working with us for the good of the arts and of artists. Ar dheis Dé go raibh a anam dilís."